There is yet more house and home progress being made as we look into the constructio of our patio coverings. 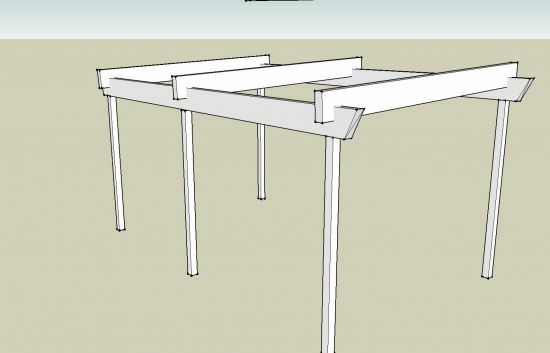 Kellei swandangled several 4"x12" beams (20´ long) and we have plans to use them! 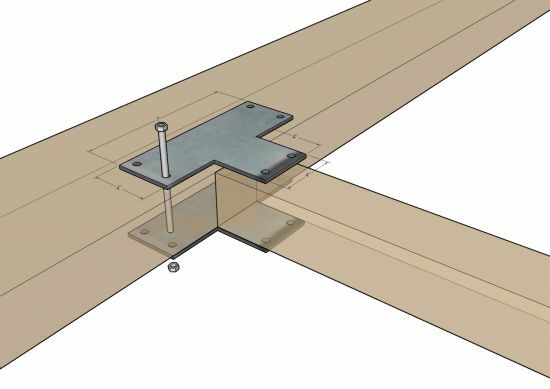 The illustration shows the intended construction for the joints - the trick here is going to be getting the metal "T" plates made up. The local building center thinks they have aline on it for us though. 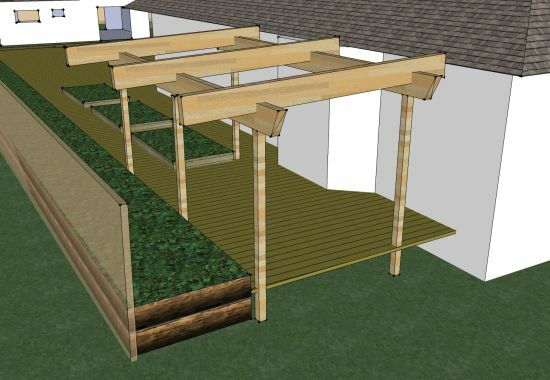 The images Below show the intended completed structure.